The way integrative medicine leader Tracy Gaudet, MD recounted it, "whole health" emerged as top dog in a competition for the Veteran Health Administration's focus through 2021. The former integrative medicine leader at the University of Arizona and then Duke is presently the director of the Office of Patient-Centered Care and Cultural Transformation for the VHA. She shared the following description of whole health in a keynote for the International Clinical Congress for Complementary and Integrative Medicine: "A well developed national infrastructure for provision of a proactive integrative health approach for Veterans, which is inclusive of a relationship-based approach, self-care strategies, complementary and alternative approaches, and integrative health coaching." The VHA's initiative will be backed by a system-wide practitioner education program developed by a University of Wisconsin integrative medicine team. She continued: "When implemented, veterans will have the guidance to address the broad aspects of their life that affect their health, will have education and training to build new self-care skills, will have the opportunity to incorporate more holistic and integrative approaches into their health care, and will have ongoing support to help them make the changes they identify as priorities." Comment: Discussion of the VHA at ICCCIM touched repeatedly on the fact that the VHA is a single payer system and that the military's top-down culture facilitates system-wide exploration. When will a private US health system mandate training in integrative therapies for its doctors? Perhaps the answer will be: once this "Whole Health" education is proven and outcomes are in hand. The VHA's leadership in developing low-tech options for pain and other forms of care appears to be secure for years ahead. The high level advances for integrative health and medicine described by Tracy Gaudet, MD, above, don't capture the frustrating experience on the ground in a Washington state Veteran's facility, according to a November 5, 2013 request to the Integrator from psychologist and yoga teacher Dawn Irene Aragon, PhD. Wrote Aragon: "I am inspired to be a conduit of change at a systems level at the VA. Not sure I can stay in it's current form, knowing there are healing modalities better than what Allopathic/Pharma offers. I'm beginning to feel out of integrity by NOT sharing and USING training I have outside my PhD as a psychologist. Though I can see a trend toward 'mindfulness' and 'Acceptance Commitment Therapy', it's just not enough." She requested any support in linking with others. The huge, nurse-led Coalition for Patients Rights has sent a letter to Congressmen Fred Upton (R-MI) and Henry Waxman (D-CA) to register the organization's strong opposition to HB 2817, the disingenuously entitled "Protect Patient Access to Quality Health Professionals Act of 2013." In truth, HB would overturn the Non-Discrimination in Health Care provision of the Affordable Care Act. They argue that "if you and your colleagues do not succeed in protecting the non-discrimination clause, you risk driving up costs for consumers, providing significantly less value to patients, and discouraging qualified, trained and licensed healthcare professionals from delivering much-needed care." The CPR members range from organizations representing nurses, physical therapists and psychologists to those for acupuncturists, doctors of chiropractic and of naturopathic medicine. Comment: The CPR letter complements the letter from the Patient's Access to Responsible Care Alliance (PARCA) which was reported in the September 13, 2013 Integrator Round-up. Virtually the entire non-MD world has joined to beat back this attack from the group of MD specialties promoting H.B. 2716. On the heels of the defeat of I-522 in Washington State, which would have required labeling of GMO (genetically modified organisms) on foods, the American Herbal Products Association is advocating a new strategy. In a November 8, 2013 release, the herb industry organization both called for "a federal standard for voluntary disclosure of GMOs" and "federal legislation that instructs either the FDA or USDA to establish a standard for non-GMO labeling that would ensure the absence of GMO ingredients." The industry organization first came out in favor of GMO labeling in 2007. The Washington measure closely followed the pattern in a similar California initiative in 2012: early voter support for labeling was twisted by multi-millions in food industry money, leading to defeat by a similar margin. Consumer groups are wary of any voluntary disclosure schemes, according to this article. The margin of defeat for I-522 is down from 55%-45% to 53%-47% at the time of this writing, but the outcome is not expected to change. Comment: The American Medical Association is among organizations that do not think GMO labeling is necessary. Notably, a brief web-search did not elicit much evidence that parallel organizations in the integrative health and medicine fields had come out in favor of labeling. An exception is the American Academy of Environmental Medicine. It has come out for a moratorium on GMOs. A formal 2009 discussion paper from the American Association of Naturopathic Physician's House of Delegates is here, but it doesn't appear to have been passed. The Natural Health Alliance is active on the matter. Where do integrative health professional organizations stand on the topic? Mainly silent seems to largely be the present answer. A feature in Herbalgram, Will Obamacare Affect Natural Healthcare in the United States? provides good summary information on what many in the natural health and integrative medicine communities oppose in the Affordable Care Act. Writer Lindsay Stafford Mader notes that "various conservative and libertarian-leaning commentators and groups have criticized the individual mandate for infringing on 'basic' notions of freedom and liberty." She adds that "some CAM customers and organizations, including Citizens for Health (CFH) and the policy-focused nonprofit Alliance for Natural Health-USA (ANH), also disagree with this tenet of the ACA." Mader notes that these have often promoted Health Savings Accounts - which can be used to pay for many alternatives - backed by catastrophic coverage. Yet now such individuals would be required, according to the article, to purchase full plans. Attorney Michael Cohen and his colleague Ryan Abbott make the case that, while catastrophic coverage is available, "for someone really not wanting conventional coverage, they're stuck with a premium based on coverage they don't want." Herbalgram is the lead publication of the American Botanical Council. Comment: I was interviewed and quoted for this piece. I offered my usual underscoring of new levels of inclusion of complementary and integrative health views and practitioners in positive aspects of the plan. My own commitment to community and public health leads me away from Libertarian views. Yet if I were to vote my pocketbook interests, these adversaries are spot on, particularly given the long battle Section 2706 is likely to have in most places. The Nelson A. Rockefeller Center for Public Policy at Dartmouth University has published a report entitled Naturopathy in Vermont: Evaluating Education Differences and the Role of Naturopathic Doctors (NDs) as Primary Care Providers. The report was prepared for and presented to the Vermont Senate Governmental Operations Committee. The six key areas of concern in the 25-page report are "the undergraduate prerequisites to entering ND programs, the teaching of homeopathy, medical coursework, the lack of ND residencies, the licensing examination, and the continuing education policies." The authors conclude that options for Vermont include "stricter regulations on the practice of homeopathy, providing quality ND internships and residencies, formulating an additional examination for new ND practitioners, requiring more continuing education hours, and improving the integration of NDs into existing hospital systems." Such steps "may yield improved quality of care provided by NDs, broader patient access to naturopathic practices, increased alignment of ND and MD care through Blueprint for Health teams, and the drawing in of more primary care practitioners to Vermont." They state that "properly trained naturopaths as primary care providers can contribute to reduced healthcare costs in Vermont and personalized care for patients." And finally: "MDs can learn from NDs about holistic evaluations of disease while NDs can learn about modern technologies for improving the efficacy of care." Comment: All-in-all, this is quite a positive report from the perspective of those naturopathic doctors who are seeking to up their status as primary care providers. This is not a moment too soon for that profession which, like all the other licensed integrative health field, was overlooked in this recent Health Affairs devoted to "reinventing" primary care. I personally was pleased to see the concluding observation: "MDs can learn from NDs about holistic evaluations of disease while NDs can learn about modern technologies for improving the efficacy of care." What a simple world it could be if we just cut through the prejudice and focused on value. According to this post following a keynote at the conference of the New York Association of Naturopathic Physicians, Mark Bertolini, CEO of the Aetna insurance giant has become a huge advocate for naturopathic doctors, acupuncture and other integrative methods. Bertolini transitioned from believing it all "voodoo medicine" following a serious accident he had while skiing. He explored "cranial sacral therapy, acupuncture by a medical physician, naturopathy and yoga - and all of that has created a cocktail for me that allows me to live in a relatively pain-free world without any drugs." The article suggests Bertolini is involved in federal efforts to promote the naturopathic profession. Bertolini's views are clear in this March 19, 2013 CNBC video at 3:43 of the 8-minute segment, following a question from Arianna Huffington. He speaks to Aetna's cost savings from a yoga and mindfulness program: 11 to one return on investment, or $3000 per year per employee, then goes into his personal journey toward health. Comment: Bertolini's interview is fascinating. The take home suggests that a true paradigm shift might happen not, as is sometimes suggested, when the old finally die. Rather, reform might begin if a few score other insurance executives tumble over 30 foot cliffs, as Bertolini did, then find their way to health and productivity via constructing their own teams of integrative health practitioners. His story of a fall that transitioned him from declaring all non-conventional treatment "voodoo" to exalting it ranks with Alice's shock on taking her tumble. A quality interview of the director of the Octagon Institute at Life University, Gerry Clum, DC in Health Insights Today (and reprinted here in Dynamic Chiropractic) captures key aspects of the way the Affordable Care Act may influence the future of chiropractic payment - and what individual chiropractors can do. On the subject of the new focus on quality of care and outcomes, Clum states: "The idea that we can continue to see patients for X number of visits over Y period of time - without periodic evaluations that show progress in their functional improvement - is long gone. Probably the biggest change for chiropractors is that we need to start thinking about what we can do to demonstrate that between point A and point B, Mrs. Smith has improved. And the fact that I find greater joint mobility at her C6 and C7 is nice, but it doesn't answer the question." He adds: "We've got low back indices, neck indices, indices for everything under the sun. Their use is going to have to become routine." Clum speaks to the chiropractor's role in the evolution of Accountable Care Organizations and Patient Centered Medical Homes. He begins by prescribes reading: "The first thing I would [urge] is start Googling 'accountable care organizations,' and spend half an hour wandering through websites and reading until you get a sense of what they are." He concludes that these entities represent "a free-market arrangement," adding: "Chiropractors can function anyplace they can inject themselves into the system. In this scenario, it is crucial that chiropractors understand the literature regarding cost-effectiveness and patient satisfaction associated with the care that we deliver." Comment: Clum, a colleague in a project of the Academic Consortium for Complementary and Alternative Health Care entitled Project for Integrative Health and the Triple Aim, is a clear, even thinker on these topics. His counsel in this piece is excellent. An October 8, 2013 note to naturopathic physicians in Hawaii from Michael Traub, ND, DHANP, long-time integrative medicine leader on the island of Hawaii, shares news from the island's major insurer, the Blues plan HMSA: "HMSA's legal department has determined that naturopathic medicine must be a covered benefit in HMSA's plans effective Jan. 1, 2014, as provided in the Affordable Care Act, Section 2706 (pertaining to non-discrimination)." Traub adds that the insurer "will be hosting a webinar for NDs and 'other specialties'." Traub assumes this may include chiropractors, acupuncturists, certified midwives and massage therapists." Due to HMSA's "missed deadline, in 2014 patients with HMSA coverage will pay up front for their naturopathic care, and then submit a claim to HMSA to be reimbursed." NDs can be "participating providers" in 2015. Reimbursement rates were not revealed. Writes Traub: "It will be better than nothing." He also notes that the coverage will "allow NDs to order lab work and imaging studies for patients, and when the lab or imaging center bills HMSA, the claim will be paid based on how the benefits are defined in the particular HMSA plan." Traub notes that he plans to contact the state's other leading insurers, including Kaiser, on "their compliance" with Section 2706 "Non -Discrimination in Health Care." Traub copied the Integrator on his note and approved publication. Comment: Nice to see an insurer respecting the intent of Section 2706. One wonders what guidance HMSA may have received from Blue Cross Blue Shield's national office. If they payment levels are respectful, HMSA - by far the dominant insurer in the state - should be promoted as a benchmark plan. Traub is as experienced as anyone, nationwide, in these environments. The past president of the American Association of Naturopathic Physicians can count among his credits leadership of the integrative medicine effort at the pioneering North Hawaii Community Hospital. Be nice to clone him and send him out into the 50 states. The headline in the November 2013 Report from the American Herbal Products Association's was "AHPA provides accurate supplement information to the Children's Hospital of Philadelphia" (CHOP). The AHPA intervention followed action by Sarah Erush, PharmD, BCPS, CHOP's pharmacy clinical manager and a member of the hospital's Therapeutic Standards Committee to utterly ban dietary supplements. The action was reportedly the first of its kind nationally. AHPA president Michael McGuffin followed up with a letter that argued that the industry is not without regulation. He argued that "simply removing these popular vitamins and supplements from the CHOP Formulary is unlikely to eliminate unintended drug interactions with dietary supplements." He adds: "A more effective approach would be to educate staff and patients about the benefits and risks of drugs and supplements so patients have informed and safe access to the broadest selection of health care options." Comment: Great to see McGuffin and AHPA active on this. One wonders what actions would be taken by Erush were she an equal opportunity banner? What if banning of drugs or supplements was directly correlated to actual damage done by their respective products? McGuffin smartly sent Erush a complimentary subscription to online version of AHPA's Botanical Safety Handbook. No sign that Erush, or CHOP, are budging. Who gives out head-in-the-sand awards? We may have a winner. Guarneri: next steps for ABIHM? Former integrative medicine leader at Scripps Mimi Guarneri, MD electrified an audience of 500 medical doctors and osteopaths at the final American Board of Integrative Holistic Medicine (ABIHM) MD-DO certification program in early November. She announced news of the organization's transition now that the American Board of Integrative Medicine will take the lead on MD board certification in IM going forward. With support from the Calgary-based Taylor Family Foundation, ABIHM -- perhaps under a new name - will become an academy with an international and interprofessional reach. According to a release Guarneri provided the Integrator, certification will be available in 2015 for professionals licensed as ND, DC, LAc, RN, NP, PA, DDS, RPH, psychologists, nutritionists, and dieticians. States Guarneri: "The integrative healthcare community needs a comprehensive resource to support the practice of integrative medicine." She then adds: "We need a unified forum for political advocacy for integrative holistic medicine." The release lays out an ambitious agenda of education opportunities and resources the new entity is anticipating providing. Details are expected in early 2014. Comment: This is a fascinating and exciting development. While no level of financial commitment is in the release, a brief search shows that the Taylor Family Foundation is capable of major gifts. Fueling such an inclusive organization, with international flavor and a combination of education and policy impact, and the leadership of Guarneri, opens a tremendous opportunities in integrative health and medicine. We'll be following this closely. My excitement with the potential policy dimensions almost stimulated me to place this under "policy" rather than "organizations." 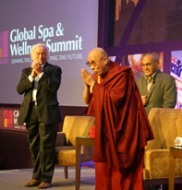 On October 6, 2013, the Dalai Lama addressed the Global Spa and Wellness Summit in Gurgaon, India. Corporate wellness and integrative health and medicine leader Kenneth R. Pelletier, PhD, MD (hc) moderated the discussion that followed the Dalai Lama's comments as described in this page on the Dalai Lama's site. The Dalai Lama counseled the attendees to deal with negative feelings through "emotional hygiene." A set of photos from the visit is here. Asked how he continues to have optimism, he replied that he "believes in human intelligence and warm-heartedness, because of which human beings have a great positive potential." Susie Ellis, the chair and CEO of the Summit later blogged that "when I spoke to Veer Singh, who has met His Holiness several times in the past and was very engaged in arranging his appearance, he said that he had never seen him so engaged and energetic and animated." Ellis adds: "So the special moment that I think all of us sensed, was truly something special not only for visitors, but also for those from India." Another article on the Summit is here. Former president of the American Association of Acupuncture and Oriental Medicine Will Morris, DAOM, PhD, LAc will preside over a December 1, 2013 web-based Town Hall on the profession's new strategic legislative plan. The third draft of the legislation, including all comments, is posted here for review and additional comments. The final comment period closes November 30, 2013. Attendees can also prepare themselves through this Frequently Asked Questions document. Registration is here. A review of the five items is included in this Round-up. Comment: Credit the AAAOM for a wonderfully inclusive strategy in this process. Let's hope it breaks the spell of non-participation that has held the field back and kept it from taking advantage of the bright openness to acupuncture that seems to be opening everywhere. Morris, the president of the AOMA Graduate School of Integrative Medicine, is a good choice to preside. It was under his term as president that two feuding national professional organizations were fused into one, perhaps laying the groundwork for a massive, unified Congressional push. The American Botanical Council (ABC), a leading voice for herbalism internationally, with a reach into 80 nations, celebrated its 25th anniversary on November 1, 2013. Executive director and co-founder Mark Blumenthal attributed the organization's success to "the strong ongoing support of people who value reliable, science-based information on the many positive health effects of herbs, spices, teas, phytomedicines, and other beneficial plants and fungi." Meantime, the Pacific Symposium of the Pacific College of Acupuncture and Oriental Medicine celebrated its silver anniversary October 24-27, 2013 and the International Association of Yoga Therapists announced that it is celebrating its 25th anniversary at its June 2014 Research Symposium. Comment: The coincidence of timing of origin for these three organizations is fun. The decade from 1978-1988 was a remarkable period for founding organizations in integrative health and medicine. Among the alphabet soup: AHMA, AHNA, CNME, AAAOM, ACAOM, AHPA, Natural Foods EXPOs and, of course, IAYT, Pacific Symposium and ABC. Notably, the decade also birthed the Planetree organization for patient-centered care inside the nation's hospitals, and the wellness movement inside the nation's large employers. Apparently either everyone was smoking something or it simply became obvious that a major course correction required institutional infrastructure. Or both. The Massage Therapy Research Fund has announced that it is accepting grant proposals for research up to $20,000 ona $40,000 fund that will be awarded to submissions received before December 31, 2013. Proposal applications in at least one of the following areas: massage therapy effectiveness, efficacy, and safety; massage therapy access and delivery; massage therapy policy; and massage therapy knowledge translation. More information is here. Applicants must be affiliated with a Canadian institution. The Consortium of Academic Health Centers for Integrative Medicine has accepted the University of Toronto Center for Complementary and Integrative Medicine into its membership. 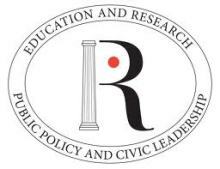 The Center is developing plans for its program and is seeking a director. The planning is led by the institution's vice provost, Sarita Verma, MD, JD, an international leader in interprofessional education and practice. Expectations for the program are here. The move brings to 54 the number of North American academic medical centers in the Consortium. The outcomes are hardly a surprise: a report led by Paula Gardiner, MD has found that "lack of time and a paucity of trained faculty are perceived as the most significant barriers to incorporating complementary and alternative medicine (CAM) and integrative medicine (IM) training into family medicine residency curricula and training programs." This is according to this article on the study carried out by researchers at the Boston Medical Center and published in Explore. In an interview, Gardiner advocated for more time via reference to the patient experience component of the Triple Aim: "This is a part of medicine that has significant impact on patient care. We need to minimize barriers to implementing CAM/IM curricula in order to address these competencies and promote a larger focus on patient centered care." A "strong" CAM/IM program was characterized as one that "incorporated at least one of the following modes of exposing residents to CAM or IM: didactics, clinical rotations or electives." Comment: Chances are that a study of why there is a paucity of trained faculty would also find that a "lack of time" is at fault. Yet training up faculty to be excited about the importance of the content is likely the necessary step to creating the will that will in turn create the time for these clinicians to gain some fundamental sense of complementary and integrative philosophy and practices. The Accreditation Commission for Homeopathy in North America (ACHENA) has opened a public comment period until December 15, 2013 on its Standards for the Doctoral Degree in Homeopathy. The draft standards are here. The 54 pages of the document detail 22 competencies in 5 domains: comprehensive clinical care (7); interdisciplinary and patient-centered communication (3); systems and context of care (2); research - analyzing, generating and using theories and evidence for homeopathic practice and scholarship (6); and leadership (4). The qualifications for core homeopathic faculty are: completion of certification equivalent to that provided by the Council for Homeopathic Certification; completion of a professional program in homeopathy; and five years of full time professional practice. Comment: Good to see the homeopathic community continuing to engage formal self-regulatory and regulatory processes. Nationwide there are just 9 programs accredited through the US Department of Education-recognized Midwifery Education Accreditation Council (MEAC). This is just one factoid available on the new website of the accrediting body associated with the nation's direct-entry, non-nurse and Certified Professional Midwives. At the October 2013 annual meeting of the Consortium of Academic Health Centers for Integrative Medicine, Mary Jo Kreitzer, RN, PhD, FAAN was honored with the Bravewell Distinguished Service Award. Kreitzer is the founder and director of the University of Minnesota's Center for Spirituality & Healing. The Consortium, as the organization prefers to be known, issues this award to "someone who has shown an exceptional long-term commitment to the work of the Consortium and made an outstanding contribution to furthering the organization's mission and its ongoing work." Kreitzer is a former vice chair whose role as a mentor was lauded in the presentation ceremony. In addition to her Center role, Kreitzer is a tenured professor in the School of Nursing, and co-lead of the doctorate in nursing practice (DNP) specialty in integrative health and healing, a joint program between the School and the Center. Comment: It is interesting that this award, given only for the second time, went to the one nurse-leader of a Consortium member organization. The first also went to a non-MD, Georgetown University physiology professor Adi Haramati, PhD. This suprising pattern of awards does mimic the pattern of the Consortium's early leadership. Three of the first 4 chairs and vice-chairs of the Consortium were non-MDs. Pleasing to see a second individual dedicated to inter-professionalism named. A taste of Kreitzer's leadership in promoting self-care, health and well-being at the Institute of Medicine is here.